Feel that cold wind a-blowin', because it's the next in our polar vortex of folk music. Hailing from Toronto, Graham Nicholas delivers a tour-de-force of finely crafted folk and country. 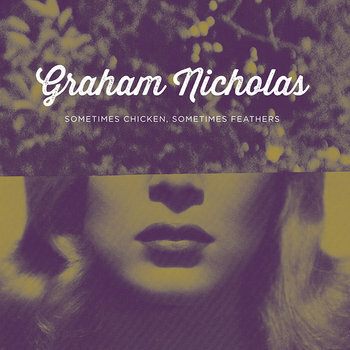 Sometimes Chicken, Sometimes Feathers is a surprisingly confident album (surprisingly only in that it's Nicholas' first full-length.) The songs on here are instantly likeable. "Roll Me Up" and "Sunday Kind of Love" show off Nicholas' playful side -- and it's damn good rock'n'roll. Then there's "Heart Please Forgive Me," a classic country tune. My favorite song, though, is "Happy Endings," an incisive commentary on youth and the twenty-first century that is a feat in brevity, rhyming, and delivery. Sometimes Chicken, Sometimes Feathers establishes Nicholas as a strong, one-of-a-kind voice on the scene today.